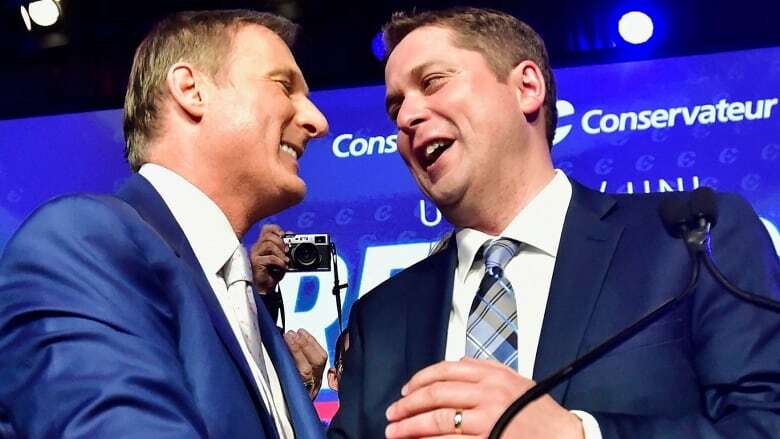 Conservative Leader Andrew Scheer will announce his shadow cabinet on Wednesday and Maxime Bernier, the man Scheer defeated for the party leadership, won't be getting the finance critic role he'd publicly campaigned for, CBC News has learned. Conservative Leader Andrew Scheer will name his shadow cabinet Wednesday, giving top leadership rival Maxime Bernier a key role — just not the one he wanted, CBC News has learned. Bernier publicly campaigned for the role of finance critic, telling the Globe and Mail in July, "I hope that I can be the finance critic. That will be an interesting role for me and an important role. I'm ready to take that challenge." But a senior Conservative source, speaking on condition of anonymity, told CBC News that Bernier will instead be named critic for Innovation, Science, and Economic Development (ISED). ISED is the second-largest portfolio in government, with the aerospace industry being a key part of its mandate. During the Conservative leadership race, Bernier was outspoken in his criticism of the Liberal government's financial bailout of Bombardier. The Conservative source said Erin O'Toole, who finished third in leadership race, will take on the foreign affairs critic role, while Quebec MP Gerard Deltell will shadow the Treasury Board and British Columbia MP Dan Albas will cover small business. Scheer will also introduce new language for his inner circle, styling his key MPs as "shadow ministers" instead of using the traditional term "critic." 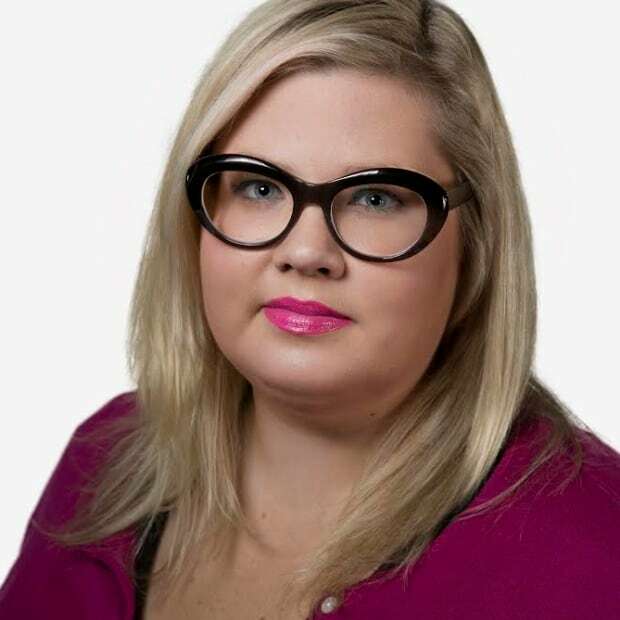 Other appointments include Alberta MPs Shannon Stubbs, who will cover Natural Resources, and Rachel Harder, who takes on Status of Women. Ontario MP Alex Nuttall will handle Youth, Sport and Disability, and Quebec MP Luc Berthold will be agriculture critic. The remaining critic roles — including Finance, Immigration and Health — will be introduced Wednesday afternoon by news release. The team will join Scheer's closest allies, including Lisa Raitt, who was named deputy leader last month, and Candice Bergen, who is keeping her role as House leader. The source said the team represents a "united front" following the party's close leadership race, adding the MPs selected are "ambitious and energetic." 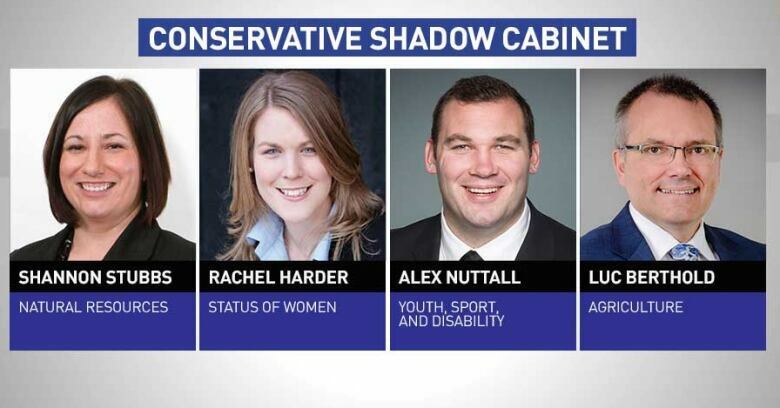 Scheer's team is hoping that by using the term shadow minister instead of critic, it will make it easier for Canadians to envision what a Conservative government would look like if successful in the next election. When Parliament resumes sitting later next month, the Conservatives plan to drill down on three key issues: the government pay-out to Omar Khadr, changes that curtail "income sprinkling" among business owners — or what the Conservatives will call "local" business taxes — recently introduced by the finance minister, and the surge of asylum seekers crossing the border from the United States. To that end, the senior Conservative expects Scheer's first question to Prime Minister Justin Trudeau when the House of Commons returns will be about the $10.5-million payment to Khadr.